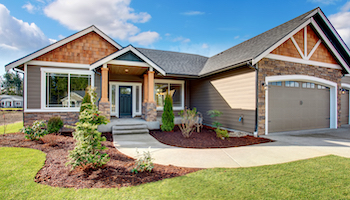 » Should you pay extra on your mortgage? You've probably dreamed of the day when you finally send in your last mortgage check and own your home free and clear. Paying a little extra every month on your home loan is a way to make that dream a reality faster than you thought, and with today's historically low savings rates, it could make more sense than ever. Rather than letting money languish in a CD, money market or savings account that pays practically nothing, many homeowners might be better served by paying down their mortgage. Doing so can save tens of thousands of dollars in interest and shave years off your loan. Our accelerated mortgage payoff calculator can help you figure out how quickly you can pay off your loan and how much you'll save. "It can be life-changing," says Jonathan Pond, a financial author and adviser from Newton, Massachusetts, who believes paying off your mortgage early can be one of the smartest moves you can make, especially as you reach retirement. But before you start sending your spare cash to your mortgage company, you need to make sure your overall finances are in order. Paying extra on your home loan isn't always the smartest use of your money. "We look at the whole picture when trying to make that decision," says Diane Pearson, a certified financial planner and shareholder at Legend Financial Advisors in Pittsburgh. 1. Pay off high-interest credit card debt. 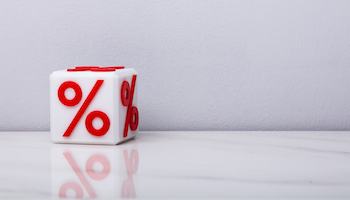 With the average variable credit card interest rate around 16%, you'll save a lot more by paying down your card balances than by paying extra on a home loan that carries a 4% interest rate. Plus, you can usually deduct mortgage interest from your taxable income. Credit card interest isn't tax-deductible. 2. Build up your emergency savings. Everyone needs about six months of living expenses in a savings or money market account, where you can withdraw it quickly and without penalty. Without that financial cushion, you could lose your home, including the extra money you worked so hard to put toward the balance, if you get laid off or become ill and can't work. 3. Contribute to your retirement plan. If your employer matches all or part of your contributions to a 401(k) plan, make sure you're putting in enough to collect the full benefit. Not taking advantage of matching retirement fund contributions is saying "no thanks" to free money. If, for example, your employer matches 50% of your contribution up to 6% of your income, that's like getting a 3% pay raise and earning a 50% return on your investment. Finally, you should consider whether the potential gains from investing the money in long-term options such as stocks could be greater than what you'll save by paying down your home loan. Over the past 40 years, the S&P 500 — a broad measure of stock market performance — has delivered an annualized return of about 11%. But 2016's early wild gyrations reminded us that you must be willing to stick with the market long enough for the inevitable ups and downs to deliver those profits. 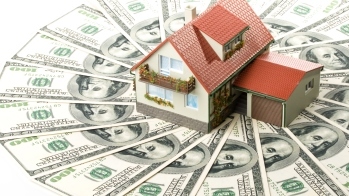 If that's not for you, or if you already have enough money in stocks and the rest of your finances are in good shape, then this is the time to consider paying down your mortgage. That's especially true if you've been putting money into more conservative options such as CDs, savings or money market accounts that pay less than 2%. Even if your mortgage costs 4% or less, paying extra on that loan could be a better use of your money than letting it languish in low-paying CDs or savings accounts. Multiply your mortgage interest rate by 1 minus your tax rate. If the result is higher than what you typically earn with a conservative investment, pay down your home loan. Otherwise, the savings option is better. Example: Say your interest rate is 4% and your tax rate is 25%: 1 minus 0.25 equals 0.75. Multiply 0.75 times 4% and the result is 3%. That's the real interest rate you're paying after taking into account the mortgage tax deduction. If you're getting a rate of return higher than that, then you should leave your money where it is. If not, then putting the money into paying down that loan could be your best bet. Some people think they should avoid paying off their home loan early to keep reaping the tax benefits that come with the mortgage deduction. But Pond says, "The notion that you need a big mortgage to save taxes is absolute nonsense." If you're in the 25% tax bracket and you pay $10,000 a year in principal, he notes, you reap a tax savings of $2,500: "So you're paying $10,000 to save $2,500." You don't have to pay lots of fees to pay off your loan more quickly, either. Our 3 free ways to pay extra will show you how. Whatever method you choose, paying off the mortgage could well reduce the amount of income you need in retirement by 20% or more, Pond says. "Almost inevitably with a mortgage, there are going to be financial challenges," he says about the clients he's advised, "while those that retire without a mortgage pretty much have clear sailing ahead.